In Golden Earring – Radar Love I had a big problem. This the solution so please read the problem first and have a go at solving it yourself. 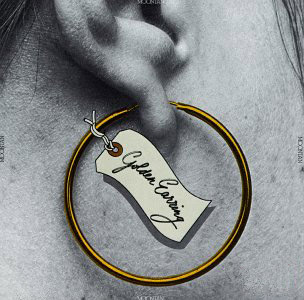 My wife has lost a golden earring, I can buy a bunch of similar earrings but I know one is a fake. I can weigh two groups of earrings, each weighing can give one of three results: they weigh the same; the left group is heavier, the right group is heavier. The question is – how many earrings can be in the bunch I buy and leave me confident that I can find the fake with just three weighings? This is the solution to Morris: Trial/Trual/Whatever. Please look there before reading the solution. It turns out the right word is truel, first coined in 1954 by Martin Shubik. Hmm. Somehow Stephen Morris pulls off that rarest of Math Factor tricks– leaving Kyle and Chaim at a loss for words, with his sneaky clock puzzle. We said during the most recent podcast that we’d offer the answer to the ending puzzle on the website. Twitter user @snoble posted a hint on #mathfactor that points to the right answer. First, I’ll review the problem. You and nine other prisoners will be lined up in the morning front to back. Each of you will have either a blue or red hat placed upon your head. Each person can see all the hats on the heads of people in front of him, but not the color of his own or of any of the people behind. The guards will then proceed to the rear of the line and ask that person the color of the hat on his own head. He must guess and if he guesses wrong, sadly, he’ll be shot. Either way, the guard then proceeds to the number nine position and repeats through all of the other prisoners. Knowing that this will happen and with a night to plan, what strategy can the prisoners develop to maximize their expected survival rate? [spoiler]During the show, I suggested a 75% solution and claimed that you can do much better. In fact, 95% of the prisoners should survive. Here’s how it is done. If the person in the rear says “red,” number nine knows that he saw an even number of red hats. If he also sees an even number of red hats, he knows that his own hat must be blue. Likewise, if he sees an odd number of hats, the only way for ten to have seen an even number of red hats is if his own hat is read. By keeping track of each answer and the change between even / odd indicated by the answers, each person can correctly guess the color of his own hat for a total of 95% success. Interestingly, this works even if the guards know what the prisoners are up to. Unlike the hat problem in GB where the hat placers can make failure 100% likely knowing the strategy by cheating and placing hats of all the same colors on the heads of the players, in this setup, the strategy works not only on random placement but also on malicious placement.